Sleek styling, handsome detailing, flexible construction. We can't decide whether to call these skateboard shoes, hiking shoes, or athletic shoes. We're calling them Reebok RB1735 Black Suede Non-Metallic Composite Toe Men's Slip-Resistant Shoes for now, but you ma ... (see full details) (see specifications) #RBKRB1735. Sleek styling, handsome detailing, flexible construction. We can't decide whether to call these skateboard shoes, hiking shoes, or athletic shoes. We're calling them Reebok RB1735 Black Suede Non-Metallic Composite Toe Men's Slip-Resistant Shoes for now, but you may come up with a name of your own: favorite shoes. The black-on-black design of these Dayod has distinct Reebok styling in soft suede leather. Black suede is touchable and fuzzy, material that's highly soft and flexible around your feet. But it's also a type of leather, and leather is naturally resistant to wear and tear. It's durable, and that's what you want out of your composite toe shoes -- whether you're wearing them to go skating or to go to work. The lightweight hi-top styling looks great no matter where you go, but these suede shoes are made to work. The inner lining is durable, abrasion-resistant nylon material that withstands friction. It's made in mesh construction that breathes and releases heat to keep your skin cooler when you wear these men's shoes. That means your feet can move and work and function -- without becoming sweaty and overheated. Impact-absorbent, shock-resistant sponge rubber heel wedges are integrated into the EVA cushioning inserts of these chemical-resistant shoes. The airy foam and force-absorbing sponge heel wedges soften shock every time you step down. The inserts are removable, and that makes them easy to clean. The lightweight cushioning puts a layer of softness between your feet and the hard ground below, and that makes stepping a whole lot nicer while wearing these safety toe shoes. The outsoles are cushioning and force-absorbing, too. They're constructed in a dual-density design that gives you two layers of cushioning comfort. EVA Foam in the midsoles adds a lightweight, airy core of softness. The rubber traction bottom grips down and holds firm to keep your stride steady. Rubber creates the firm support of these Reebok shoes your steps need because softness alone just won’t work when you’re trying to work. Extra wide toe caps keep the fit roomy and comfortable despite the composite toe caps. The safety toe caps aren’t steel, but they do meet ASTM F2413-05 standards for protective footwear. The non-metallic toe caps of these Dayod shoes weigh less than steel, and unlike steel don’t conduct temperature or electricity. The design is 100% non-metallic all over, in fact, and security-friendly to allow you to go anywhere. By any other name, Reebok RB1735 Black Suede Non-Metallic Composite Toe Men's Shoes are still strong, soft, and safe. Call them what you want – just as long as you wear them to work. I love these Reebok safety shoes. I like composite toe compared to steel toes because they're very light while providing the same protection. They lasted longer than my other safety boots. They're pretty durable and been wearing them everyday with no complains. Let me start this by saying I am on about my fourth pair of these Reebok shoes because there isn't anything better. These are super comfy and wear in quickly. The best part of these is that they are as light as normal shoes. My feet don't hurt after a 10 hour day. At $85, you cannot beat the price either. I get about 8 months per pair before the interior heel wears out. Just be aware they run super big. I normally wear 10.5 or 11 in everything else but with these 9.5 is perfect. These are very comfortable and fit true to size. I wear them for work and casual too. They are not as heavy duty as some of the other Reebok work shoes but they do look less like a work shoe so there is a trade off. When the weather is bad (rain etc) I will usually wear a different hi top or regular work boots. Totally awesome shoes! Super comfortable. I take about 10,000 to 12,000 steps per shift, so comfort is imperative. Suede is soft while being protective and the composite toe keeps the shoe light. The mid high gives you protection and support for your ankles. Obviously these are not waterproof and you should not have prolonged contact with wet environment. Tread is tight pattern making it easy to get small rocks, glass etc. stuck in. You must clean tread daily if you work in dirty environment. Very comfortable,very light, no need to break them in like typical steel toe work boots, my job is very demanding on boots and they have lasted longer than any other steel toes I have ever bought, cost is lower than most. Won't buy anything else. 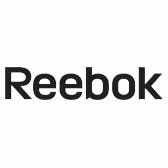 Reebok Shoes: Men's RB1735 Black Dayod Composite Toe Slip Resistant EH Work Shoes is being added to your cart.